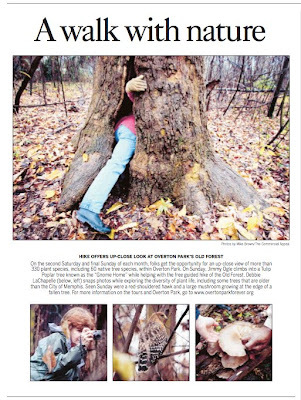 Yesterday's nature hike is featured on page B1 of today's Commercial Appeal! 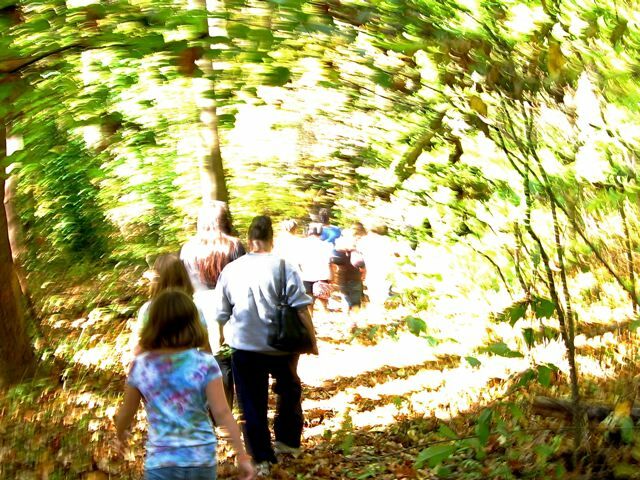 We had a wonderful group who insisted on exploring the forest for nearly three hours. Special thanks to Mike Brown, the CA photographer, who stuck with us the whole time and got stellar photos. Remember that we offer free guided nature walks at 10:00am on the second Saturday and last Sunday of every month, rain or shine. 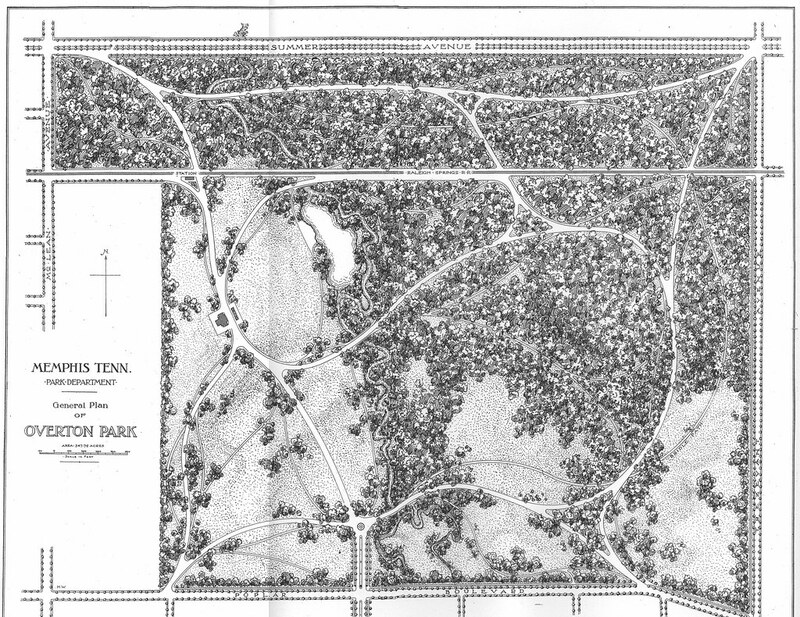 We discuss the history and botany of Overton Park as we explore the Old Forest trails. Kids are always welcome! Update: The City's latest proposal originally featured an earthen dam, but we are now informed that the dam would be made of textured concrete. We have corrected that info below. Update #2: The Memphis Flyer reported on this topic on November 26. 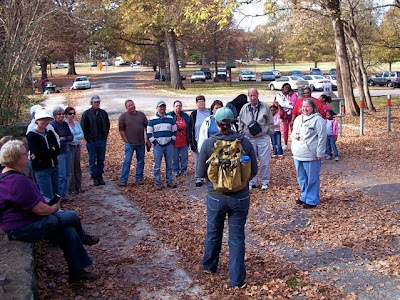 Earlier this year, we worked with Park Friends Inc. and other Midtown groups to organize a citizen coalition to Save the Greensward from being turned into a stormwater detention pond by City of Memphis engineers. 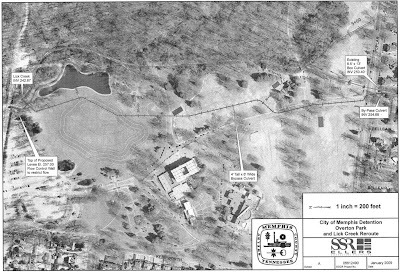 Due to the public outcry against this plan, the City's engineering staff officially rejected the Greensward Mudpit in June and said they would examine other options. 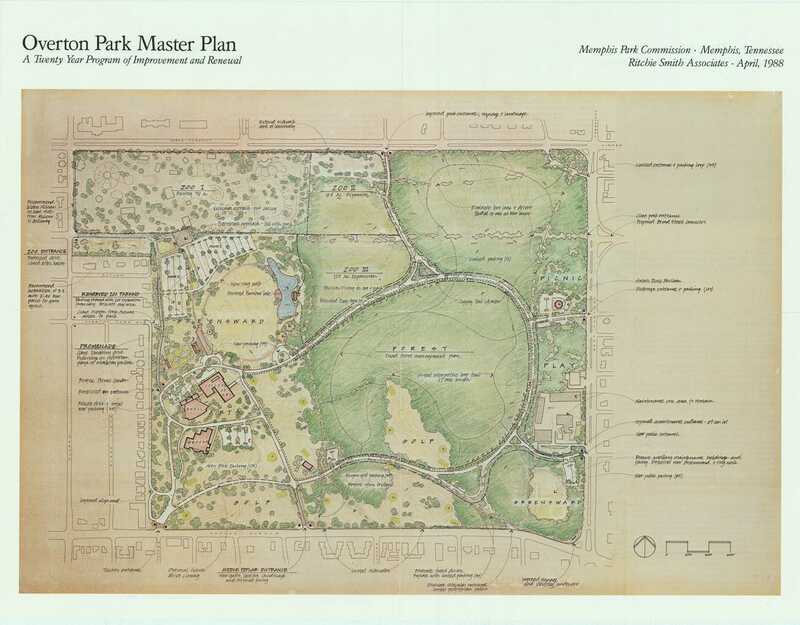 They drew up a plan that involved digging up several holes of the Overton Park Golf Course, but decided that would be "too disruptive" to the park. This proposal does not require a pit in the Greensward. Instead, it requires an 8-foot-high textured-concrete dam along the north side of the Greensward that would back up water into the park whenever Lick Creek overflows its banks. This plan would also enlarge the undersized culverts beneath Poplar Avenue and possibly create a small detention basin at the seventh hole of the golf course. After all this time, and all the money spent on planning, City engineers have still not provided the public with hard facts to justify the need for this project. They estimate it will cost $4 million to build, but they haven't bothered to explain why it's necessary in the first place. For example, how many Belleair Circle homes have been flooded by Lick Creek? 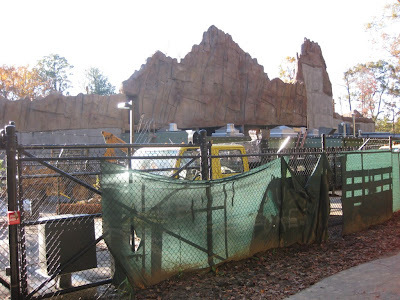 How often does the Memphis Zoo experience flood damage, and where does this occur? 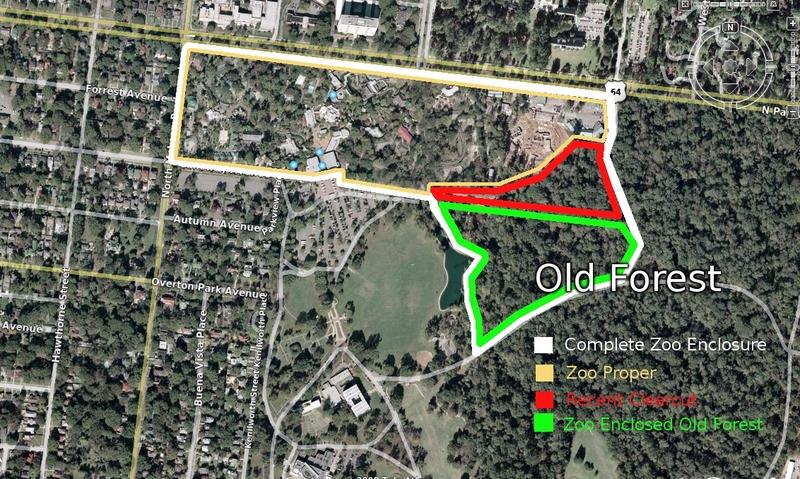 How much does flood damage cost the Zoo and Belleair Circle homeowners each year? None of these questions have been answered. 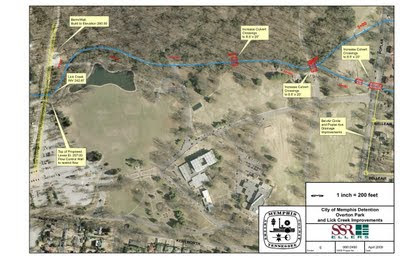 In addition, City engineers have not provided any facts to support their claim that sacrificing a portion of Overton Park is the only possible way to reduce flooding in the upper Lick Creek watershed. Why is our park the only target on the radar? Is it just because the land is publicly owned and can be used by the City for free? City engineers told us that in a 100-year flood (a flood that has a 1-in-100 chance of happening in any given year) the existing flood level at the Rainbow Lake playground would be three feet higher if their dam is built. From our perspective this looks like a problem, not a solution. Aside from the obvious safety hazards and damage to Overton Park, it's important to keep in mind that urban stormwater is not clean water. It contains a wide range of pollutants such as animal feces, oil and antifreeze from streets and parking lots, lawn chemicals, and silt from poorly managed construction sites. A major fish kill on Lick Creek this summer was caused by raw sewage pouring from a malfunctioning sewer line a half-mile upstream from Overton Park. Is it okay to use Overton Park for stormwater storage? Does it make sense to treat heavily-used parkland as if it's vacant land? Is it good civic policy to sacrifice public amenities to private interests? 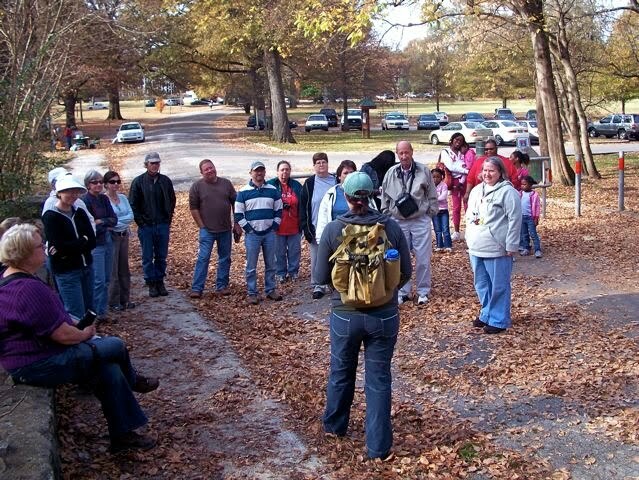 What is the true value of Overton Park to our community? These questions should be taken seriously by City officials. Why not focus on slowing or stopping stormwater runoff before it even gets to Lick Creek? Park Friends Inc's Martha Kelly recently (and wisely) pointed out that the Overton Square redevelopment offers a perfect opportunity to do just that. 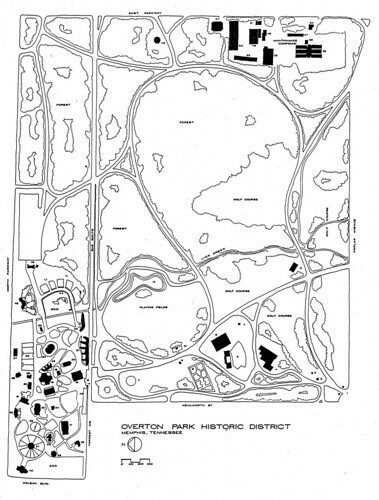 Overton Square is five acres of asphalt, concrete and rooftops. Nearly all of the rain that falls on those five acres flows straight into Lick Creek. City officials could reverse that situation by requiring the new development to manage all of its stormwater on-site. This is just one example of the many proactive steps that City officials could take to reduce flooding in the Lick Creek watershed, if they chose. Instead they often choose to burden citizens with the hidden costs of new development. For example, City engineering staff told us they did not require the Memphis Zoo to do any stormwater detention for the Teton Trek exhibit, even though the original exhibit plan included underground detention tanks. Why? Because "the mathematical model" said there would be no increase in flooding downstream. When you convert an old growth forest (near-zero stormwater runoff) to a paved and roofed zoo exhibit (near-100% stormwater runoff) you need only consult your common sense to know that the extra water will increase flooding downstream. Sure, a single new development that lacks stormwater detention may not change things much. 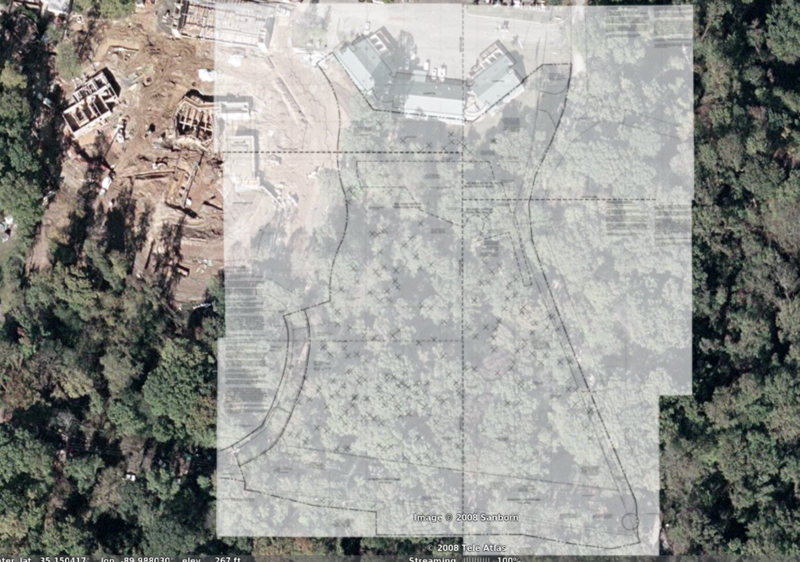 But five acres here, four acres there -- it adds up fast in a dense urban environment. It works the other way too. Even acts as simple as strategic tree planting and landscaping are proven to drastically reduce stormwater runoff and improve water quality -- and that also adds up fast. 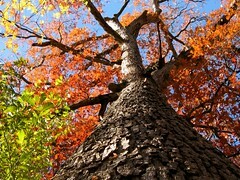 We don't need a mudpit in Overton Park. We don't need contaminated stormwater backing up into our old growth forest, our playground, and our Greensward. We need our civic leaders to recognize that we can (and should) improve our built environment without destroying the natural resources that birthed our city and nourish our spirits. I've been corresponding with Brian Carter over at the Zoo regarding the backside of Teton Trek. I visited Teton Trek a couple of weeks ago and thought that the forest backdrop was breathtaking. In fact, from most of the exhibit, you can't even tell that there is a road behind there. However, yesterday while hiking through the forest and walking down the road, I was very disappointed to see that the area behind the exhibit is extremely unattractive. (See attached photo.) It definitely ruins the feeling of "getting away from it all" that many people like myself seek out in the old forest. Do you have plans to clean up this area and/or plant a tree screen? 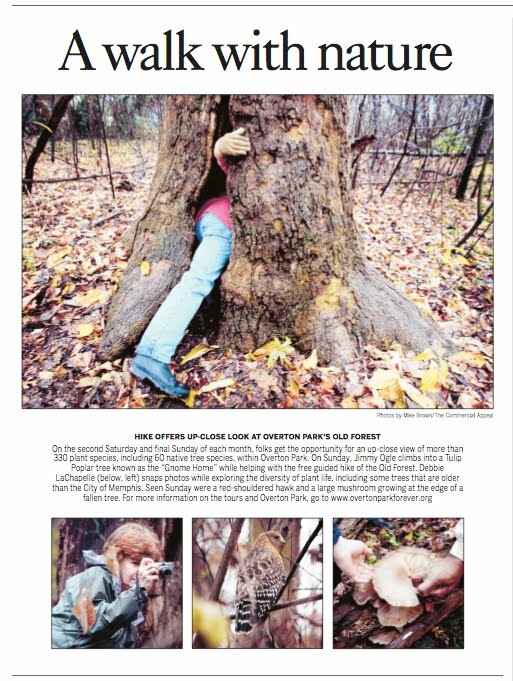 It would mean a lot to the surrounding neighborhoods and regular users of the forest. Thank you for your email. 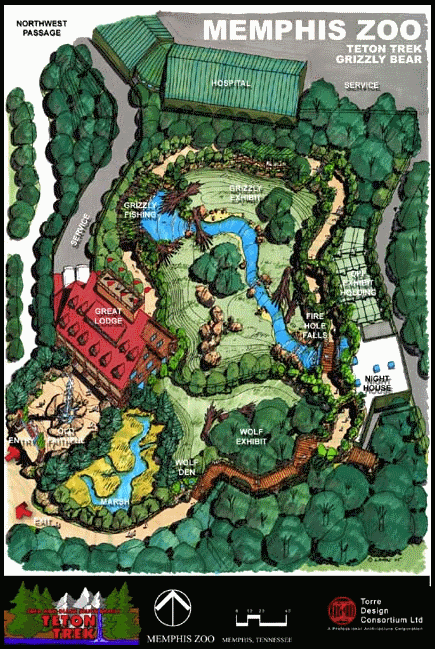 By early December, the Zoo will have completed all substantial construction on Teton Trek. Plantings and a new shade cloth along the Zoo's perimeter fence that faces the park road are a part of the outstanding projects and are scheduled to be completed by this date.